Turning your business idea into a reality will often require capital to get it off the ground. For most start-ups, it will usually take a continuous cycle of funding to keep on getting to the next stage until your business becomes successful. There are a multitude of financing options for you to choose from but equity crowdfunding, via platforms such as Seedrs, is an excellent option. 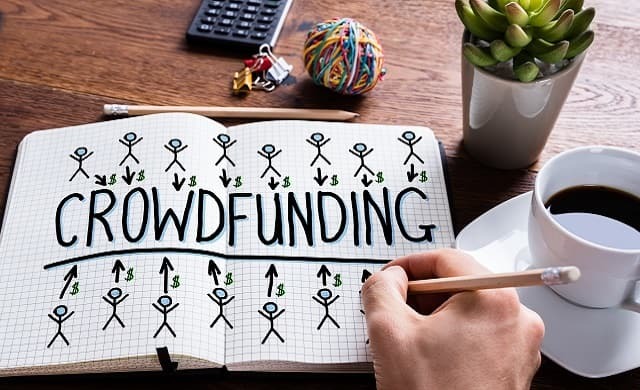 Not only can crowdfunding platforms help you raise capital, they also offer a significant marketing opportunity which creates engagement with existing customers, can help attract new ones and will create brand evangelists for your company. Here, the Seedrs team explain what equity crowdfunding is, and highlight some of the additional benefits it provides besides delivering capital and customers. Equity crowdfunding enables start-ups, early-stage businesses and high-growth businesses to raise funds from a diverse range of investors. In return for their capital, entrepreneurs exchange a percentage of the ownership of their company to investors. These will normally be made up from a combination of a few large investors and a greater number of smaller ones. Previously, only venture capitalists and ultra high-net-worth individuals could invest in private companies but equity crowdfunding has made it possible to raise funds from retail investors too. The core benefit of equity crowdfunding for you as an entrepreneur is, of course, that it acts as an effective means of accessing capital for your business to help you get to the next stage, but it comes with the added benefit of raising awareness for your business – more on this later. Investors typically view a range of pitches via an online crowdfunding platform, such as Seedrs. The start-up founder or founders typically decide upon the amount of capital they require to raise and the percentage of equity they’re prepared to give up in return. Most equity crowdfunding platforms work on an all or nothing basis, so the funding target must be met or the start-up won’t receive any of the funds. Firstly, you would work with an equity crowdfunding platform like Seedrs, to establish that this is the right approach for your business. Typically, businesses that are innovative, growth focused and have a network that would be interested in investing, are well suited to equity crowdfunding. Fundamentals of how much you’re looking to raise. Shareholding in the company you’re offering. The story of your business so far. How the funds that are raised will be used. Your company and your pitch will then pass through internal due diligence checks by the platform, before being launched. Most campaigns run for 60 days and you’ll need to meet your funding target to receive any funds at all. Once the closing process is carried out, you will receive the funds you’re due and your shareholders will receive their share certificates. What are the other forms of crowdfunding? Reward-based crowdfunding. Best for pre-launch and creative businesses. This is a bit like pre-ordering, with people providing funds in return for receiving the finished product at a later date. Sometimes entrepreneurs offer a discount against future purchases and/or other rewards. Investors do not receive a shareholding in the company. Donation-based crowdfunding. Often used by people seeking sponsorship for an activity they promise to undertake, with all money raised going to a named charity. For a crowdfunding campaign to be successful, the round needs to be promoted. Alerting potential investors to the round will give your company a marketing boost as it will be showcased throughout the campaign, creating brand awareness. Equity crowdfunding gives you the chance to expose your business to new audiences. At Seedrs, we provide a comprehensive package of marketing that includes digital marketing, email marketing, dedicated PR and even advertising on the London Underground. When existing customers become shareholders in your company, the relationship changes and they’re likely to metamorphosise from customers into brand evangelists. They now have a vested interest in your start-up becoming successful, so they’re now far more likely to actively promote it to new potential customers and less likely to use a competitor’s service. An equity crowdfunding platform’s reach can attract investors who were previously unfamiliar with your company but match your target demographic. As well as investing in your round, they may also become regular customers of your products and services. Because early stage businesses usually require more than one round of funding, it’s important to choose a funding partner that can support you throughout the different fundraising stages. Healthy ice cream makers, Oppo, raised £353,000 at seed stage. Digital bank, Revolut, raised £3.8m at growth stage. Leading English winemaker, Chapel Down raised £3.9m at the expansion stage. There are generally two types of early-stage equity investment platforms; full service lifecycle and purely transactional. With a full ‘life-span platform’, such as Seedrs, there’s valuable support for portfolio companies for the entire journey. This includes clean structuring of the company’s cap table from the start with the Seedrs Advantage Nominee, so that it becomes easier to carry out further rounds. Companies that successfully raise also benefit from membership of the Seedrs Alumni Club. This is specifically designed to provide ongoing expertise and help your business to succeed. With a purely transactional platform, an entrepreneur’s relationship with it ends as soon as the campaign is completed without providing ongoing meaningful support. Think equity crowdfunding could be right for your business? Visit Seedrs to find out more.